Located in Užice, Serbia, Prvi Partizan is one of the largest modern ammunition manufacturers in the world. Founded in 1928, Prvi Partizan is best known for supplying ammo to the Serbian military and police forces. 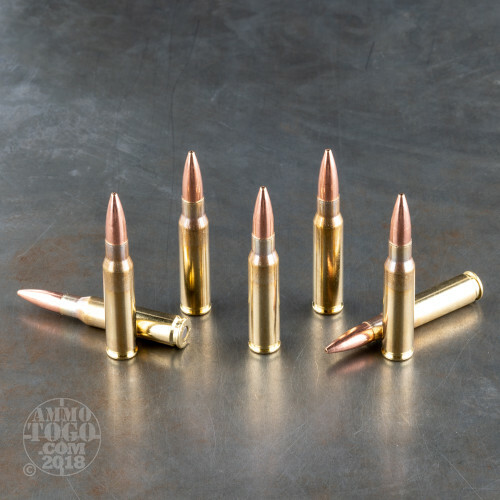 Also manufacturing quality sporting and hunting loads, Prvi Partizan delivers reliable and affordable ammunition for civilian shooters around the globe. 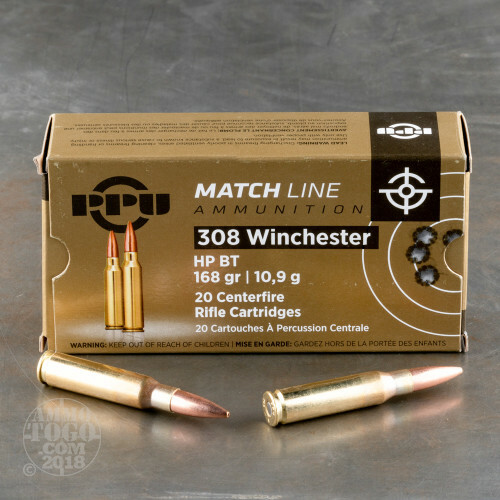 This package contains 20 rounds of Prvi Partizan .308 Winchester ammunition. Each cartridge is loaded with a match grade 168 grain boat tail hollow point projectile. Providing impressive accuracy and precision results out to 1000 meters, these rounds are well-suited for long-range shooting applications, including match competition and big game hunting. 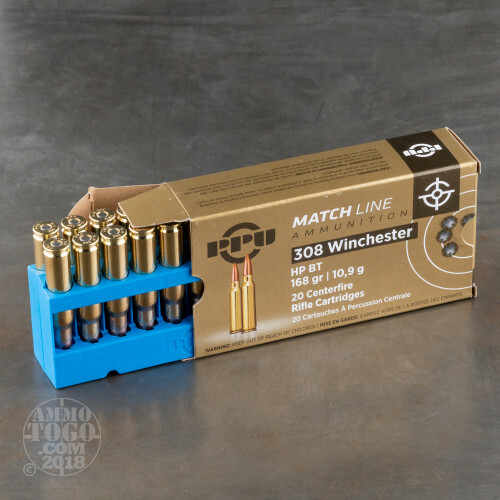 These new production loads are 100 percent non-corrosive, boxer primed, and feature high-quality, reloadable brass cases. Leaving the muzzle at an impressive velocity of 2608 feet per second, each round produces 2537 foot pounds of muzzle energy. 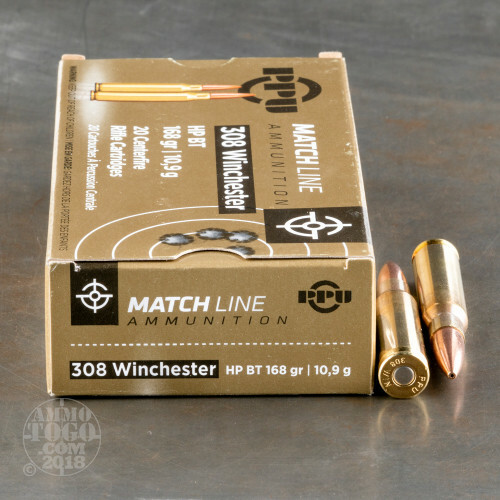 I have used this in my 308 and the same when I can find it in my 300 win. My 308 regularly punches 1/2" groups at 100 as well as my 300. Took a nice 12 point at 180 yds in Saskatchewan in 2017 with it. Right on target! This stuff is great. Both my bull barrel rifles like it and my Rem700 is fussy. Little ragged five shot group holes. 5 Stars for the price. I would not recommend it for a championship match as you do get a rare flyer. So pleased I just ordered 10 more boxes for the April Palma Match. This stuff is NOT match ammo I was getting 5-8 MOA with it.